Much criticism has been levelled at the state’s Joint Commission on Public Ethics, or JCOPE, a relatively young agency with a lackluster record of keeping watch on wrongdoing in state government. Since the agency’s inception seven years ago, several sitting lawmakers have been indicted and convicted of public corruption. But in most, if not all, those cases, JCOPE seems to have sat idly by as other enforcement agencies eventually stepped in. JCOPE has brought enforcement actions for ethical violations against only two lawmakers in that time -- one in 2013 against former Assemblymember Vito Lopez and then in 2015 against former Assemblymember Dennis Gabryszak. The body does not appear to many as much of a deterrent or enforcer. Now, with Democrats set to take full control of the state Legislature and legislative leaders signalling a renewed commitment to reform, there’s talk of altering, or even repealing and replacing JCOPE, with some reform-minded legislators eyeing their new opportunity and even some relevant campaign season words from Governor Andrew Cuomo about making the ethics body more independent. Among them are Assemblymember Tom Abinanti, who wants to reform the agency’s membership, and State Senator Liz Krueger, who has proposed eliminating JCOPE and creating an entirely new agency from scratch. Good government advocates are pushing for a soup-to-nuts reimagining of ethics enforcement. At minimum, they say, there should be changes to how JCOPE commissioners are appointed and that the agency should be given more teeth. The best-case scenario? Do away with JCOPE entirely and replace it with an entity as close to completely independent of political interference as possible. 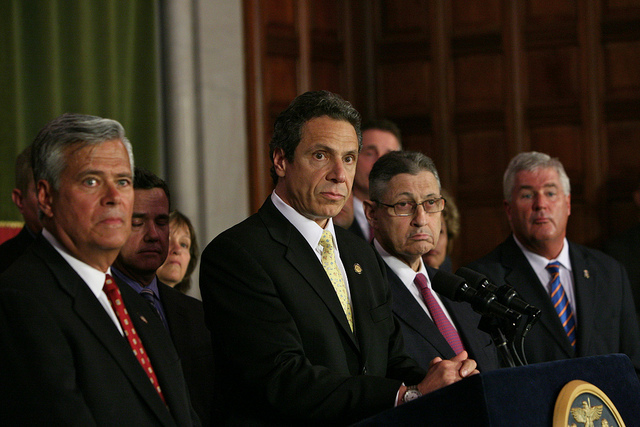 JCOPE was created in 2011 during Cuomo’s first term, after he came into office promising to wipe clean the rot that had infected state government. Part of a deal with a hesitant Legislature, the agency was charged with overseeing lobbying activities and ethics violations by members of the state Assembly and Senate, the executive branch, dozens of state agencies, and candidates for elected office. It’s composed of 14 commissioners who serve five-year terms -- six appointed by the governor and lieutenant governor, three appointed by the Assembly speaker, three appointed by the Senate majority leader, and one each appointed by the minority leaders in both legislative chambers. The governor also appoints the chair of JCOPE while its executive director is chosen by the commissioners. Advocates and reform-minded elected officials have argued for years that JCOPE commissioners cannot be expected to conduct robust investigations of the very institutions, entities, and individuals that appoint them. JCOPE’s current executive director Seth Agata, a former aide to Cuomo, was a particular target of that criticism during the election. 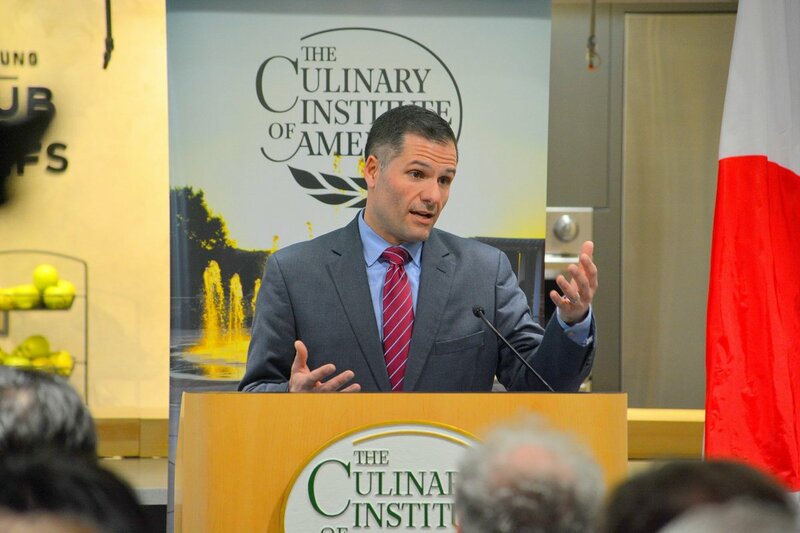 Cuomo’s Republican opponent, Dutchess County Executive Marc Molinaro, repeatedly called on Agata to step down over having failed to adequately scrutinize the executive chamber, particularly after the corruption conviction of Joe Percoco, a former top aide to Cuomo, who was found to have used his executive chamber office while working on Cuomo’s first reelection campaign. 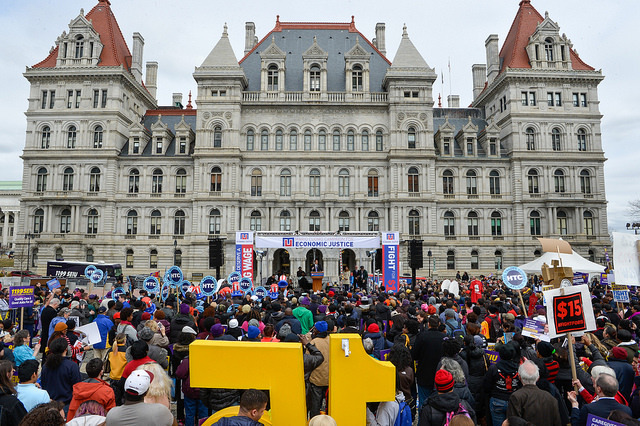 As he often has, Cuomo indicated his belief that even getting the Legislature to agree to creating JCOPE was a significant lift, and he added that it provided an opportunity to push further, having cracked the door open. In the Democratic attorney general primary race as well, Fordham Law professor and anti-corruption crusader Zephyr Teachout led the charge in calling for Agata’s resignation, inflamed in part by JCOPE’s investigation and subsequent clearing of Sam Hoyt, a former state economic development official who was accused of sexual harassment and assault by a woman who said he helped her obtain a job at the state DMV. Hoyt was previously a long-serving member of the Assembly and was also investigated for sexual harassment while in office, and was later disciplined for having an inappropriate relationship with an intern. He was recruited after that by the Cuomo administration. Public Advocate Letitia James, who went on to win the attorney general seat, initially took a softer position on JCOPE but eventually too joined Teachout in calling for Agata to step down, as did Rep. Sean Patrick Maloney, who was also in the race. Former Verizon executive Leecia Eve, who worked with Agata in Cuomo’s administration, was the only Democratic attorney general candidate not to issue that demand but did say that JCOPE should be scrapped and a new agency created from the ground up. There have been bills introduced in the state Legislature that would accomplish these goals. Earlier this year, Assembly Member Tom Abinanti, a Democrat representing parts of Westchester County, proposed restrictions to JCOPE’s membership. His bill would prohibit an individual from serving on the commission if they had been a registered lobbyist, elected official, state officer or employee, or a legislative employee within the previous ten years. “We should ensure that no member of JCOPE is inclined to act preferentially for or prejudicially against any subject of a JCOPE inquiry,” Abinanti said in a phone interview. Abinanti said he was open to the idea of potentially scrapping the agency but said his bill was a necessary half-measure in the absence of broader action. “My bill is a more practical approach that, so long as we have JCOPE, we have to make some reforms and we need to make sure that the members of JCOPE do not have any relationships with the people who might become the subjects of their inquiry,” he said. The office of Assembly Speaker Carl Heastie, a Bronx Democrat, did not respond to a request for comment. Senate Democratic spokesperson Mike Murphy said, “There was much done by the previous majority in furtherance of Senate Republicans’ partisan agenda and we expect to reform those inequalities to create more fairness,” likely referring to the fact that the Senate Republicans will still maintain control of a majority of the chamber’s appointments to JCOPE even after Democrats take the majority. “That’s probably the greatest flaw with JCOPE,” Camarda said. And, owing to how the original JCOPE law was written, both parties also retain the number of appointments they can make even if they are not in the majority in a legislative chamber. Senator Krueger, a Manhattan Democrat, agrees with that sentiment and has proposed a state constitutional amendment to create that independent entity. 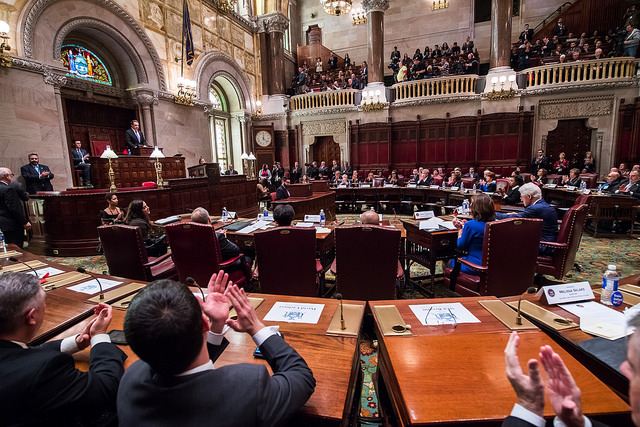 Krueger introduced a resolution, co-sponsored by Assembly Member Robert Carroll, a Brooklyn Democrat, at the tail end of the 2018 legislative session that would add a new article on state government integrity to the constitution. It would establish a New York State Commission on Government Integrity to take over the role currently played by JCOPE. The new commission would be made up of nine members -- two appointed jointly by the governor, attorney general and comptroller; five appointed by the state’s chief judge and the presiding justices of the appellate courts; and one each by legislative conference leaders of political parties that are the top-two vote getters in the previous gubernatorial election. 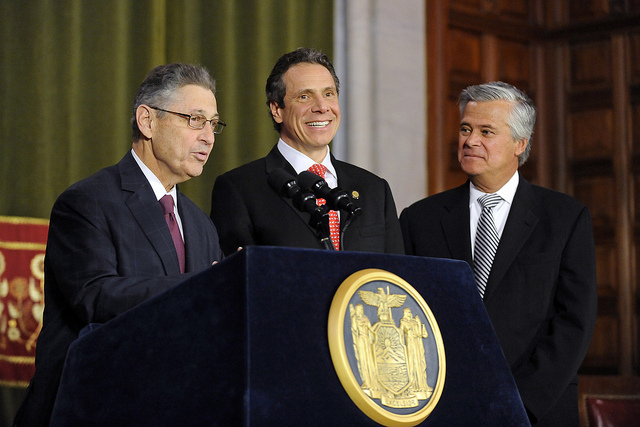 Pursuing a constitutional amendment would also remove Governor Cuomo from the process. Unlike a bill that he could choose to sign or veto, the amendment would have to be approved by both legislative chambers in two consecutive sessions and then be presented to voters as a ballot measure. Krueger plans on reintroducing her resolution in the upcoming legislative session in January, with a few changes, which her office shared with Gotham Gazette, after consulting with the state’s chief judge and attorney general’s office. The earlier version allowed the commission to remove a legislator from office but the new version does not give the body that authority. Another revision allows the commission to give informal advice, which can then be used by an individual as defense in any potential future investigation. Another area where JCOPE is thought to be unequipped is in examining allegations of sexual harassment, an issue brought into recent relief by the allegation of forcible kissing brought against Senator Jeff Klein by a former aide, Erica Vladimer. Not only is it unclear if JCOPE has the expertise to examine sexual harassment claims, but there is little transparency related to any investigation that may or may not be happening, nor clarity around whether an accuser is provided information about the status of an investigation. JCOPE spokesperson Walter McClure declined to comment on the proposals put forward by Krueger and Abinanti. “Any decisions on changes to our enabling legislation or the laws that we have oversight over are up to the Legislature and the Executive,” he said in an email. It’s unclear whether the governor will back these efforts. On government ethics reform he has a history of promising big but delivering small, something that has left critics wary. As Camarda noted, “The governor told the editorial board of the Daily News that he was going to put into place a database of [economic development] deals, which he could do via executive order or pass legislation. He has not done that.” He also cited Cuomo’s unfulfilled promise to restrict campaign contributions from vendors bidding on state contracts. 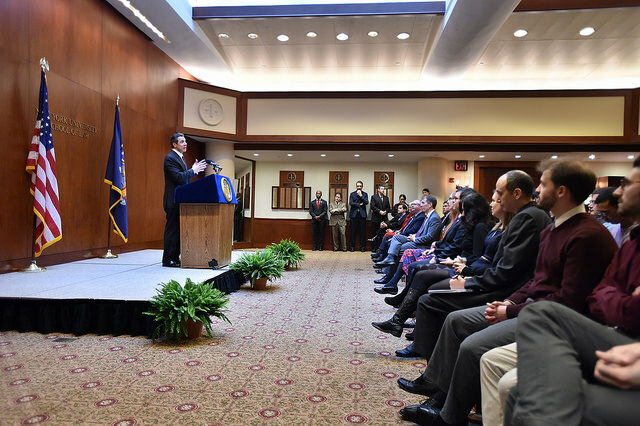 The governor also made promises to pursue campaign finance reforms, including closing the so-called LLC loophole, and has repeatedly emphasized banning outside income for legislators as a sweeping ethics solution, even when the corruption has touched his own inner circle, removed from the Legislature. He lauded the recent recommendations of a state panel that would give lawmakers a pay raise while severely curtailing the money they can make from outside sources. 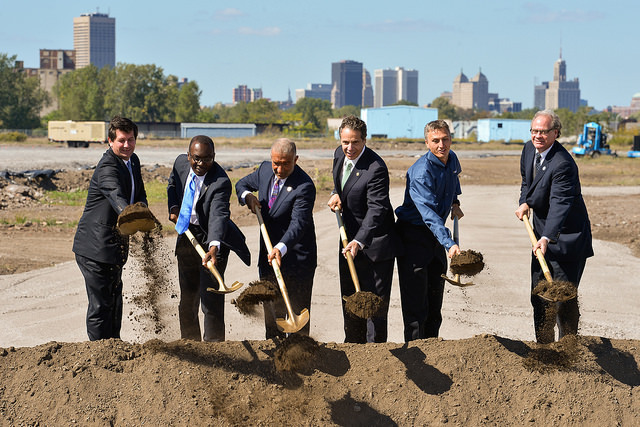 Cuomo has been less vocal, however, about the issues within his own administration as highlighted by the scandal-ridden Buffalo Billion economic development program. The week starts with all eyes on the Presidential race and the first presidential debate Monday night. Hillary Clinton and Donald Trump will debate at 9 p.m. Monday from Long Island. Mayor Bill de Blasio made a trip to Wisconsin over the weekend to campaign for Hillary Clinton and he'll attend the debate Monday evening at Hofstra. City Council Speaker Melissa Mark-Viverito and Gov. Andrew Cuomo will also attend the debate. De Blasio will first hold a press conference at 11 a.m. Monday at FDR High School in Brooklyn to make "an education announcement." According to his public schedule he will limit press questions to "on-topic" only. Schools Chancellor Carmen Fariña and Public Advocate Letitia James will be at the press conference. There will also continue to be attention this week on the fallout from last week's federal corruption charges brought against nine people involved with Governor Cuomo's economic development programs, including a close former aide and friend to the governor, Joseph Percoco, multiple developers who received major state contracts and have been big donors to Cuomo's campaigns, and the powerful head of many state projects, Alain Kaloyeros. Cuomo said on Friday that he had no idea about any of what was detailed in U.S. Attorney Preet Bharara's 80-page complaint against those alleged to have committed the crimes involved. While no charges were brought against Cuomo, Bharara said the investigation is ongoing and questions have been raised about how Cuomo could not have known what was alleged to have happened under hs watch. 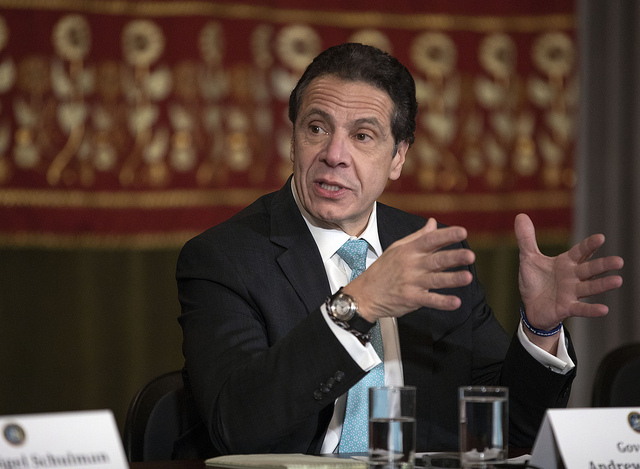 On Tuesday, Cuomo is set to give a speech in New York City in front of the Association for a Better New York, and he is likely to take questions from members of the media afterward. Another highlight of the week ahead is that on Thursday the City Council is scheduled to hold an oversight hearing on what happened in the lifting of deed restrictions on Rivington House, the Lower East Side property that was a nursing home for AIDS patients and is becoming high-end condos after the city agreed to lift restrictions on the property and it was flipped in a series of now-controversial transactions. The city's Department of Investigations and city Comptroller Scott Stringer have each already released reports on what happened in the Rivington mess (the DOI said after receiving more information from City Hall that its investigation was "ongoing"). While Mayor Bill de Blasio said that things went very poorly with the process and announced a new process for deed restrictions, City Council members andn others are proposing legislation to change how the lifting of deed restrictions are handled, adding them to a City Council-involved process known as ULURP, which includes several checks outside of the mayoral administration. And, speaking of the presidential election, there are just a couple weeks left to register to vote for those not registered and wishing to cast a ballot November 8 -- in the presidential election and/or others. Brooklyn Boulders and Rock the Vote are hosting two events this week in New York City, Tuesday in Queens and Thursday in Brooklyn, to register voters. Tuesday is also National Voter Registration Day. Mayor Bill de Blasio starts his week with the aforementioned press conference and, with his wife Chirlane McCray, attending the presidential debate. The Committees on Consumer Affairs and Transportation will hold a joint meeting at 1 p.m. for the oversight of and on legislation regulating the Sightseeing Bus Industry. The Committee on Fire and Criminal Justice Services will meet at 1 p.m. to discuss numerous proposed laws. The Committee on Housing and Buildings will meet at 1 p.m. to discuss two local laws which would amend administrative codes. At 11 a.m. Monday City Council Speaker Melissa Mark-Viverito will speak at the Supportive Alternatives to Violent Encounters (SAVE) grand opening in her East Harlem district. At 1 p.m., she'll deliver remarks at the Council Fire and Criminal Justice Committee hearing on her bills related to the Department of Corrections. And at 3:30, Mark-Viverito will speak at the 16th Annual Gladys Ricart and Victims of Domestic Violence Brides March. At 11:30 a.m. Monday, City Council Member Andy King, officials from the New York City Housing Authority (NYCHA), NYCHA tenant presidents, the Department of Transportation, and the Department of Sanitation will hold a joint press conference to announce upgrades to NYCHA buildings in King’s City Council District; entrance of the Gun Hill House in The Bronx. On Monday evening in Manhattan, City Limits News will hold its 40th anniversary gala, at which the news organization will honor journalist Wayne Barrett and union leader Henry Garrido. At 1 p.m., the Committees on Economic Development and Civil Service and Labor will hold a joint oversight hearing on the city’s Employees’ Paid Parental Leave Program. At 1 p.m. the Committee on Environmental Protection will meet for oversight of and on legislation regarding idling restrictions. September 27 is National Voter Registration Day. The New York State Joint Commission on Ethics will meet on Tuesday morning in Albany. At 11 a.m. Tuesday, Maria Torres-Springer, president and CEO of the city Economic Development Corporation, will be speaking at SoBRO’s South Bronx Leadership Forum. At 11:30 a.m. Tuesday, the Association for a Better New York will have a luncheon with Governor Andrew Cuomo. 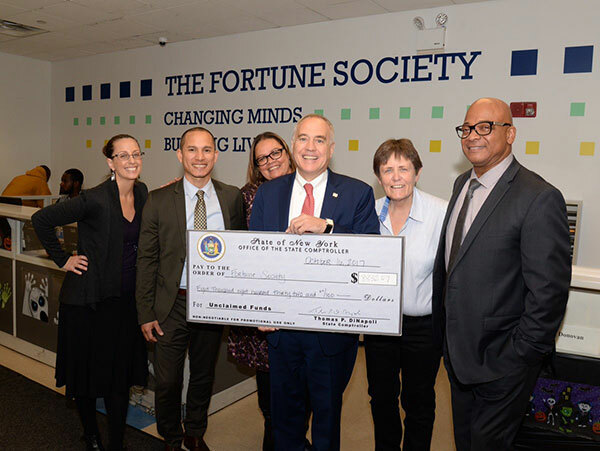 "This Tuesday, Sept. 27, from 4:00 pm to 6:00 pm, Manhattan Borough President Gale A. Brewer will sponsor a public forum on “driverless” vehicles in New York City, featuring a display of of Audi’s prototype piloted vehicle, an adapted A7 named “Jack.” The panel will address the questions facing dense urban areas such as New York City as driverless cars and trucks begin to roll on the nation’s roads, on the heels of this week’s announcement by the Obama Administration of guidelines for automated vehicles, and of Uber’s pilot of driverless vehicles on the streets of Pittsburgh this month." Moderated by Recode journalist Johana Bhuiyan, panelists will include: Sarah M. Kaufman, Assistant Director for Technology Programming at the NYU Rudin Center for Transportation; Jeff Garber, Director of Technology and Innovation at the NYC Taxi and Limousine Commission; William Carry, Senior Director for Special Projects at the NYC Department of Transportation; and Brad Stertz, Director of Government Affairs at Audi. At 6 p.m. Tuesday, City & State will hold its 10th Anniversary Gala. In conjunction with the gala, City & State will celebrate prominent and influential figures in New York City politics who have made their mark on the city over the last ten years with a special print edition entitled “The Newsmakers of the Decade.” U.S. Attorney Preet Bharara will be keynote speaker. New York State Comptroller Thomas DiNapoli and former Governor David Paterson will also be speakers at the event. At 6:30 p.m. on Tuesday, Day One will hold its 2016 Benefit to End Dating Violence Among Youth. Tamron Hall of NBC News and New York City Council Speaker Melissa Mark-Viverito will make remarks at the event. The Committee on Finance will meet at 10 a.m. to discuss two resolutions. A Stated Meeting of the City Council will be held at 1:30 p.m. This will be prefaced, as usual, by a press conference led by Speaker Mark-Viverito. On Wednesday, Families for Excellent Schools will hold its “Path to Possible March” in Prospect Park. Congressional Rep. Hakeem Jeffries will headline the pro-charter schools march and deliver the keynote speech. At 8:30 a.m. Wednesday, the Citizens Budget Commission and Tech:NYC “will co-host a panel discussion on...New York City's Competitiveness in Attracting and Retaining Talent.” CBC will release its “2016 Competitiveness Scorecard,” which evaluates how the 15 largest metropolitan areas in the United States compare “in their capacity to attract the young, highly talented workforce essential to retaining strength in core industries and successfully cultivating emerging ones.” Edward Skyler, chair of the Citizens Budget Commission, and Maria Torres-Springer, president of the city’s Economic Development Corporation, will be among the participants in this discussion. On Wednesday at noon, the Manhattan Institute will hold a symposium on whether America’s education-accountability movement has progressed or regressed in recent years. This symposium will feature former Florida Governor Jeb Bush. On Wednesday at 6 p.m. at the CUNY Graduate Center, "Paying the Price," an event focused on "College Costs, Financial Aid, & The Betrayal of the American Dream," with Prof. Sara Goldrick-Rab as featured speaker and Nicholas Freudenberg (CUNY Public Health) & Mark Zuckerman (The Century Foundation, moderated by Prof. Anna O. Law (Brooklyn College). 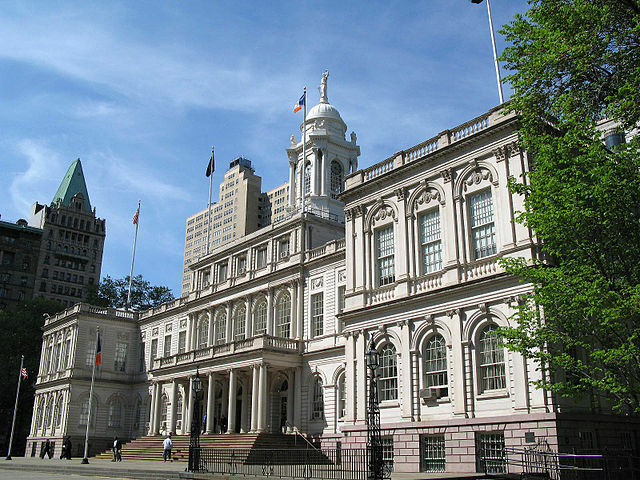 At 9:30 a.m, the Committees on Governmental Operations and Oversight and Investigations will hold a joint meeting to discuss the oversight of “The Lifting of the Rivington House Deed Restrictions,” and discuss a law which would change deed restriction protocols. At 8 a.m. Friday, there will be a New York Building Congress Breakfast Forum which will focus on the Midtown East rezoning. City Council Member Dan Garodnick and City Planning Commission Chair Carl Weisbrod will speak.